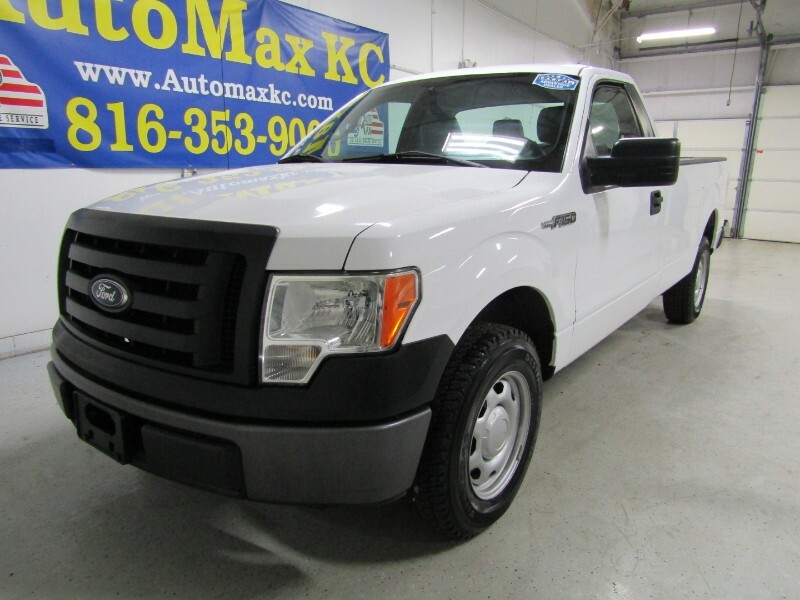 2011 Ford F-150 3.7L V6 FFV XL White Recent Arrival! CARFAX One-Owner. Leather, Tow Package, USB Port, Bed Liner, 8 foot bed, 2D Standard Cab, 3.7L V6 FFV, 6-Speed Automatic Electronic, RWD, White, Steel Gray w/Unique Leather Bucket Seats, Electronic Stability Control, Traction control. Odometer is 58569 miles below market average! * 2011 KBB.com Brand Image Awards CUSTOMER SERVICE IS OUR PRIORITY! We offer competitive interest rates . ALL types of credit welcome. We offer the CARFAX BUY BACK GUARANTEE. So buy with confidence @ AutoMax KC. Open Mon-THU, 09:00 am to 7:00 PM, FRI-SAT 09:00 am to 6:00 pm, Welcome after hours by appointment. Call for details or visit our website @ www.automaxkc.com.